Scout is a recruitment marketplace for connecting search firms to employers where the expertise is specific to the jobs that need to be filled. We have employers who need search firms like yours. These could be companies you've never had exposure to in the past, and companies who need the talent you're already working with. Once your firm joins Scout, you instantly become an approved vendor for all of the companies in Scout’s marketplace. Scout has done the business development work for you so the number of placements you make increases while the amount of time and money you spend on business development decreases. Recruiters are matched with jobs in the Scout marketplace based on the last six months of activity, placements, geo-location, and specialty. When working with Scout, search firms become more profitable by working with more clients that have more jobs in their specialty. Search Firm Recruiters need the best understanding of the job requirements for the listings they work on so they submit the most qualified candidates. 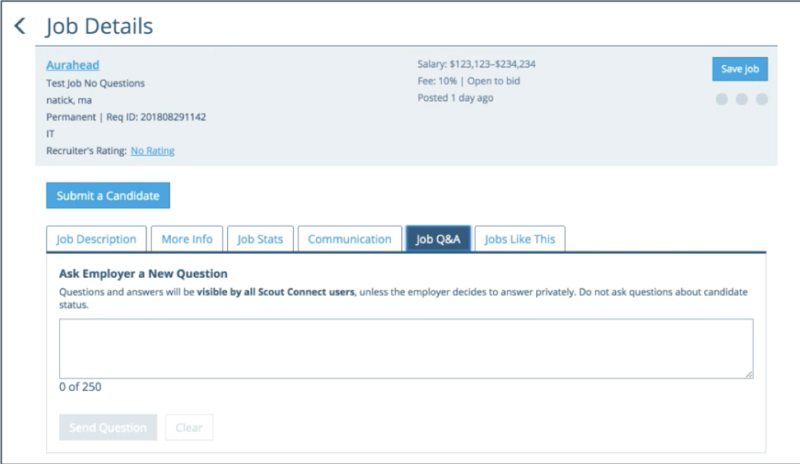 Job Q&A provides a “one-to-many communication” forum, reducing the individual back-and-forth and disruption. 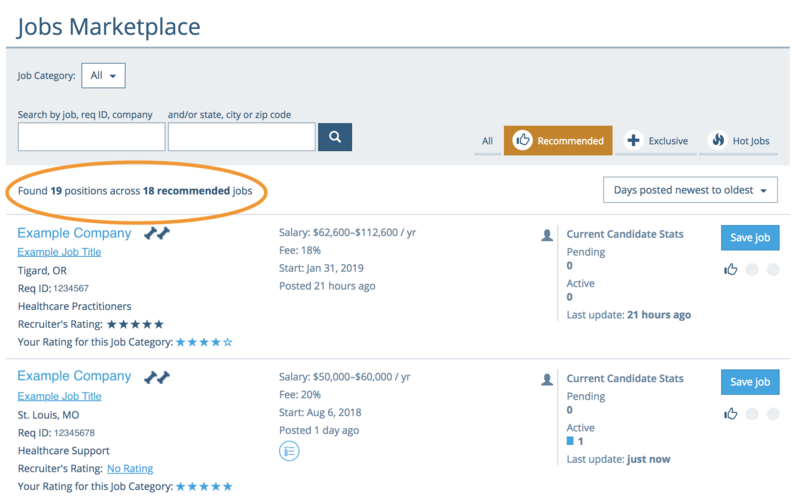 This feature will help you get the most qualified candidates by giving the job owner the ability to provide the most accurate and up-to-date info on your job listings. 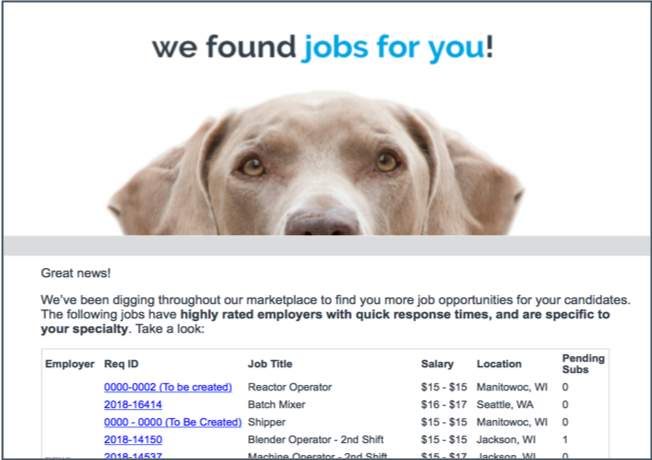 Scout uses data analytics to provide job orders that are specifically matched to your niche and specialty. This gives you the opportunity to work on permanent job orders directly matched to you, allowing you to work more efficiently and, again, increasing your profit. The open to bid feature, when utilized by Scout clients, allows recruiters to have a say in pricing the qualified talent they provide. 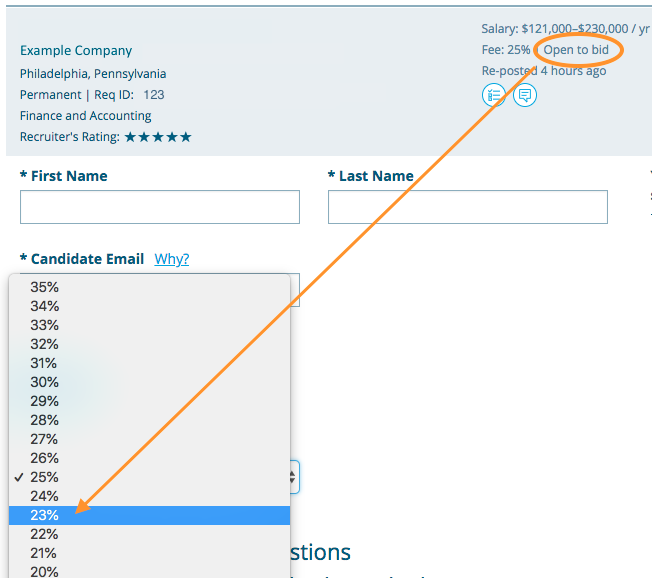 When this feature is enabled, recruiters will have the opportunity to adjust their fee percentage, per candidate, prior to executing a submission in Scout. Using only one contract, Scout lets you quickly become an approved vendor for hundreds of companies, allowing you to scale your business more efficiently and fill positions 33% faster. That results in less time spent and more profit.